What is Remnant Solutions JumpStart Series? We had to give the new BizTalk project a jump-start. BizTalk JumpStart! is a total immersion into BizTalk application design and development custom taylored to your organization's needs. It's designed to JumpStart! new and existing BizTalk projects including delivery of a functional prototype to be used as a starting point for your BizTalk project. Contact us now by phone 678 353-4232 or email JumpStart@RemnantSolutions.com to find out how we can help. BizTalk JumpStart! is an total immersion mentoring experience that goes beyond "how", and jump into "why". BizTalk JumpStart! is lead by BizTalk Architect level professionals with deep knowledge and experience with both the BizTalk platform, and enterprise integration in general. BizTalk JumpStart! is quasi-structured in that the custom curriculum is developed based on the organization's real world solution goals coupled with BizTalk design and development practices. The real world goal fosters a higher degree of engagement from BizTalk JumpStart! candidates, as well as promoting a solid learning experience. What are the goals of the JumpStart!? BizTalk JumpStart! post mortem that captures lessons learned, best practices, next steps, the beginnings of enterprise guidance. Are there curriculums to accomodate focused areas? Yes. There are a series of BizTalk JumpStart! streams, which can be taken seperately or combined to form the ideal curriculum to meet organizational goals. JumpStart! streams are customized to meet your BizTalk solution goals, while also taking into consideration candidates experience levels. Base BizTalk JumpStart! streams are listed below. This is a general BizTalk implementation. Focus in on installing BizTalk, Operational Planning, and beginning application development. If you're planning to use BizTalk for X12, EDIFACT or proprietary Electronic Data Interchange, this BizTalk JumpStart! stream is for you. 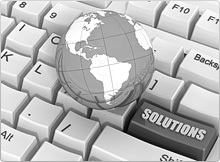 We focus on learning about and developing EDI solutions based BizTalk's EDI Sub-System. The focus of this BizTalk JumpStart! stream is on leveraging the BizTalk platform as an ESB using the latest BizTalk ESB Tool Kit. The BizTalk platform has a robust EDI sub-system, along with a complete set of HIPAA Level 2 compliant artifacts out of the box. Additional levels of compliance are achievable through the flexible nature of the BizTalk platform services and artifacts. The focus of this JumpStart stream is developing HIPAA oriented solutions. This BizTalk JumpStart! is focused on meeting the needs of organizations that rely on the HL7 medical messaging format. Whether a new or existing BizTalk HL7 implementation, this BizTalk JumpStart! will deliver! If your organization is planning to integrate with AS400 or Mainframe, this is the BizTalk JumpStart! stream for you. It focuses on integrating new and existing applications with AS400 or Mainframe systems. Service Oriented Solutions: The organization has countless application interfaces, services and direct data sources throughout the enterprise. This BizTalk JumpStart! focuses on the crucial foundational steps of an enterprise service oriented initiative including discovering, cataloging direct data sources and services throughout the enterprise. Want to gain visibility into your business processes? Want to expand BAM's scope beyond the BizTalk platform to other applications capturing an even wide scope of business activities? The focus of this BizTalk JumpStart! stream is on BAM, and the power of capturing key events during processing. Disaster Recovery, High Availability Planning (BTS Hosts, IIS Servicers, Load Balancing, Clustering Isolated Host vs. using Load Balancing) and database management (Backups and Policies, Log Shipping). What if we have NO experience with BizTalk beyond sales and online video demos? This is where our custom curriculum strategy excels. We have JumpStart! that addresses every level of proficiency. How long does the typical JumpStart! take? JumpStart! sessions range anywhere from 1-2 weeks on average. However time frame is ultimately based on the custom JumpStart! curriculum developed based on solution goals and the scope of prototype functionality. We strive to accommodate both your budget and organizational goals. Where does JumpStart! training take place? BizTalk JumpStart! sessions are conducted onsite at client location. Immediate accessibility to personnel and IT assets affords maximum impact learning experience, and richer prototype deliverable. What if additional assistance is need after the JumpStart!? If additional assistance is needed after the BizTalk JumpStart! personnel resources are available on an as-need part time or full time basis. Do you offer traditional consulting services? Yes. We offer traditional consulting services on full and part time basis for short or long term engagement arrangements. We are an on-demand BizTalk service provider. Do you offer support services? Yes. We offer support services on an as-need basis or staff augmentation basis.